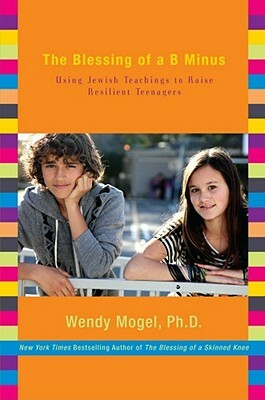 In the follow-up to her bestselling book, The Blessing of a Skinned Knee, Dr. Wendy Mogel shows parents how to navigate the teenage years. The Blessing of a B Minus is an important and inspiring book that will fortify parents through the teenage years. "We should all give thanks for The Blessing of a B Minus. Like Wendy Mogel herself, this book is funny and full of common sense. It will give parents something they need: perspective on the complicated and often maddening business of raising adolescents."